Item067-002 - Plan d'une partie du lot no 1 du 1er rang du Canton de Wendover, comté de Drummond, district d'Arthabaska. Item137-001 - Plan of part of the Eaton River at Cookshire Que. 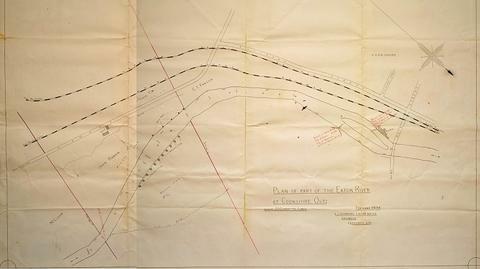 Item 137-001 - Plan of part of the Eaton River at Cookshire Que.